THis picture was also taken in Switzerland. 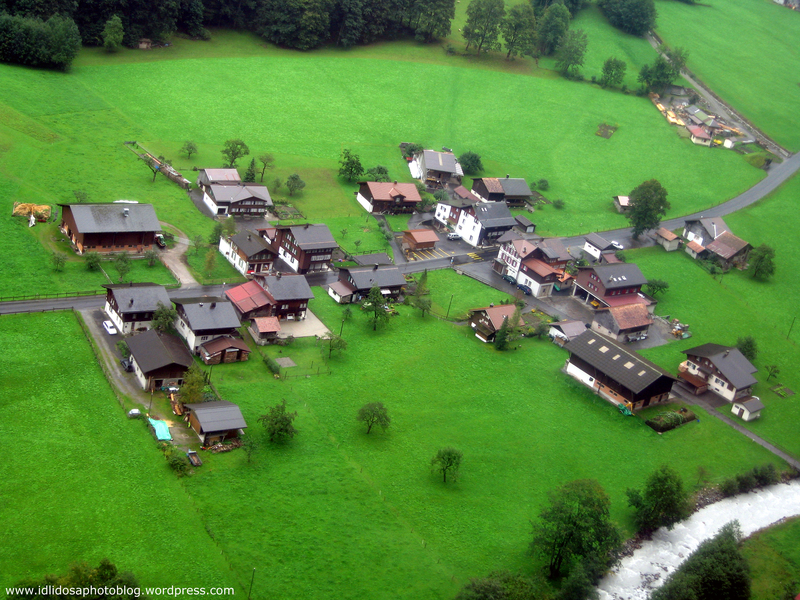 We were returning to a village called Murren from Schilthorn in a cable car. The group of houses looked fantastic from our cable car and I immediately captured it in my camera. It was very cloudy that day so I had to touch it up using photoshop. This entry was posted on June 20, 2008 by IdliDosa. It was filed under Places, Travel and was tagged with alps, cable car, color photography, colour photography, holiday, mountains, murren, Nature, photo blog, photo blogging, photography, photos, pictures, schilthorn, Snow, swiss alps, switzerland, Travel, vacation, village, Winter, wordpress, wordpress photo blog. Awesome photo!! I live in Florida USA, where life is never this green. Just beautiful!! I know what you mean. Here in England, you get to see a lot of such villages 🙂 thanks for the comments.